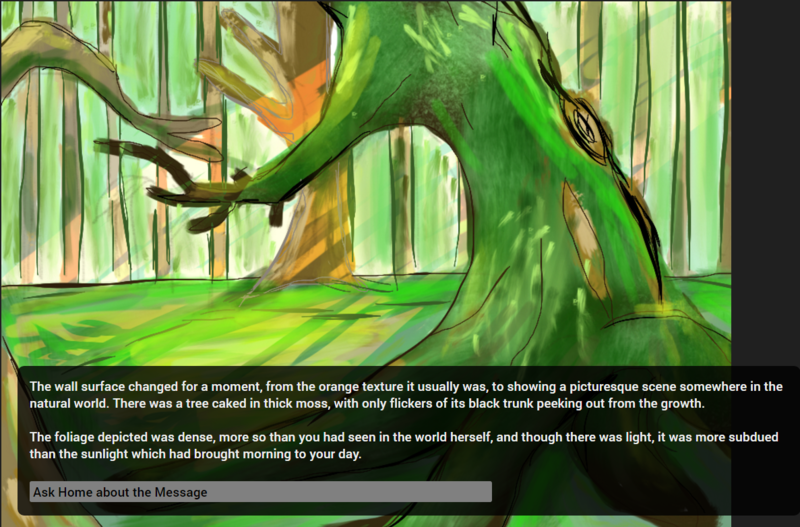 The Introdes is a Twine-based jam-game created for #ResistJam. The biggest angle of the game is the power and weaponisation of language, but there are also considerations around community, mob mentality, individualism, division of the disenfranchised, and inaction as an enabler. The mechanics of the game lean toward basic Twine, but there are certain elements of variability that also push certain virtues - patience, mindfulness, and curiosity. It is set in a future, where an organisation known as the centre tries to train groups of "Introdes", highly-individual individuals who are bonded with four other introdes, to form circles. The intent of this process is to train people into maintaining their presence and sense of self, while being able to interact with other such highly influential people. The idea of isolating groups of people through language is a core reason for the cases of unusual wording throughout this game. The goals of the centre beyond this are not clear from the outset, and while well-meaning in ways, seemingly wanting to guard against demagogues, there are flaws in their thinking that present through the continuing narrative. The current iteration leads up to the beginning of the third sequence, out of a total of eight sequences. I haven't stock on how many branching lines there are, or moments of diversion, but there are some early ones from your first sequence in Clanden - some of which mightn't present so easily. The story and setting are partially lifted from a short story I began for NaNoWriMo in November 2016, and was inspired by the events of the month. There are some differences, in that the protagonist is now the player, and there are divergent branches. The culmination of the branches is not severe at present, but the markers associated with each are recorded already.